Schertler & Onorato, LLP, is an established boutique litigation firm located in Washington, D.C. Founding partners David Schertler and Danny Onorato, both former federal prosecutors, are widely recognized as among the top white–collar and non–white–collar criminal defense attorneys in the Washington area and nationwide. They regularly represent individuals and entities in criminal investigations and proceedings in the United States and abroad, including corporate internal investigations, agency enforcement matters, and high–profile trials. Within their firm, Mr. Schertler and Mr. Onorato have assembled a team of accomplished attorneys who include practitioners in civil and tax litigation, federal and state appellate litigation, whistleblower and qui tam representations, professional liability and disciplinary matters, local and federal administrative proceedings, public sector employment issues, and record sealing and expungement law. Schertler & Onorato and its attorneys have been recognized within the Bar and among their peers for their legal skills and courtroom accomplishments. The firm is ranked in Chambers USA for its white collar and government investigations practice and has repeatedly earned a prestigious “first tier” ranking from Best Law Firms for its white–collar and non–white–collar criminal defense practice. 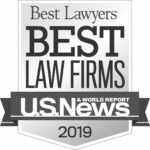 In addition, Mr. Schertler, Mr. Onorato, and other firm lawyers have been recognized as outstanding lawyers in their fields in numerous professional surveys, including Chambers USA, Best Lawyers in America, Washingtonian magazine’s “Best Lawyers” and “Top 30 Lawyers” lists, and Super Lawyers. Schertler & Onorato takes pride in these accolades and in representing its clients with zeal, efficiency, and integrity.